While I call Nashville home, Franklin has adopted me as its own. It's what you picture when you close your eyes and imagine a small town. It's a thriving community with locally owned businesses, restaurants, and more. If you ever decide to visit, look me up. 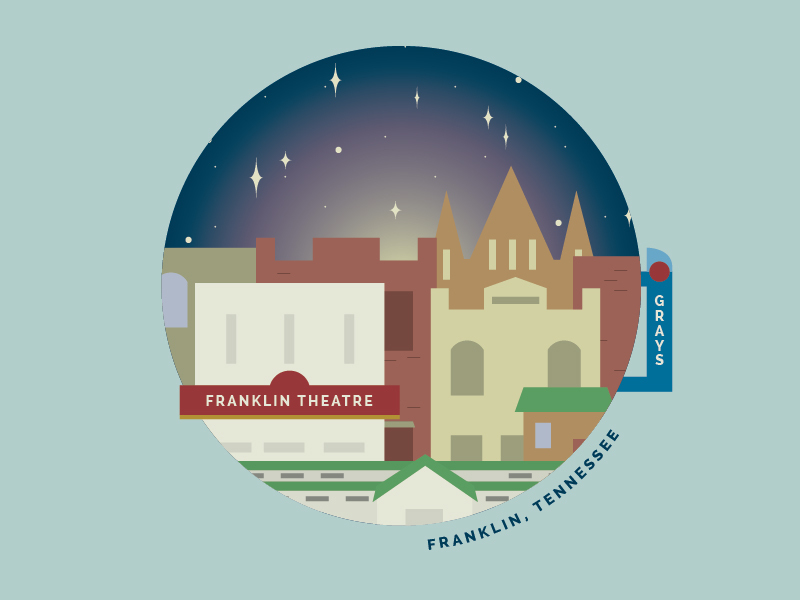 This illustration features some of my favorite places - from the Franklin Theatre to Gray's on Main.